Dance - an emotional movement of the body. Express joy in victory, I Sam. 18:6,7. Greet a returning son, Luke 15:21-25. Rejoice in the Lord, II Sam. 6:14-16. Religious expression, I Chron. 15:25-29. Time to dance, Eccl. 3:4. Young women alone, Judges 21:20,21. 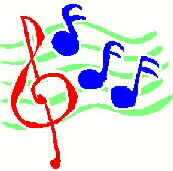 Dance is apart the of worship of God - like musicians and vocalists it is the intent behind the dance that counts. No Biblical record but no record does not mean that they are forbidden. Principle - it is the intent of the 'entertainer' that counts. Matthew 7:15-20 - Beware of false prophets, which come to you in sheep's clothing, but inwardly they are ravening wolves. Ye shall know them by their fruits. Do men gather grapes of thorns, or figs of thistles? Even so every good tree bringeth forth good fruit; but a corrupt tree bringeth forth evil fruit, neither can a corrupt tree bring forth good fruit. Every tree that bringeth not forth good fruit is hewn down, and cast into the fire. Wherefore by their fruits ye shall know them. Theater, drama, plays, movies, etc. can be used in worship, if it does worship God and speaks to, teaches, and/or admonishes man.